Personalize, decorate, give as a gift – these alphabet crafts are timeless as far as I’m concerned. 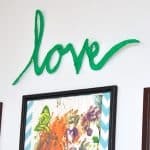 Everyone loves DIY projects with letters, and here are 13 of my favorite ideas! As far as I’m concerned , alphabet crafts are timeless. I guess it’s something about learning your letters when you are little. I don’t know, but I love decorating with them! They are fun for personalizing, especially when it comes to kids’ rooms and decor. Give me a good alphabet project and I’ll take it any time. I like my letters in wall art, jewelry, sewing . . . anything. If you love a good letter craft as much as I do, scroll down. I chose my 13 favorite projects and I think you’re going to enjoy them as well. These ginormous letters look so fun! 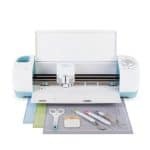 They are made using 24″ tall foam and fabric – along with a combination of machine sewing and hand sewing. And you can even download a template to make them yourself. 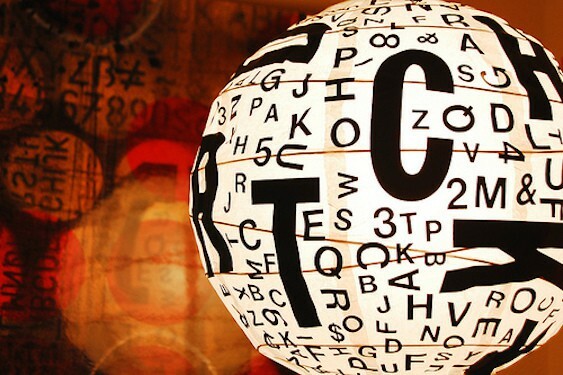 Dress up a simple paper lantern with vinyl stickers – and cool typography. If you can use stickers – you can make this DIY project! 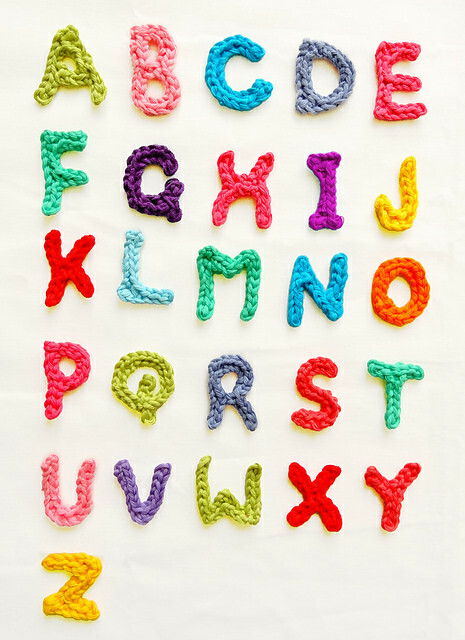 If you learn how to crochet the entire alphabet, there’s a lot you can do with these cute little letters. You can sew them onto a shirt, purse, hat – these are so fun for fashion alphabet crafts! This awesome wall of letters was probably a labor of love, but the result is totally worth it. I love the variety of letters . . . it completely makes the project. 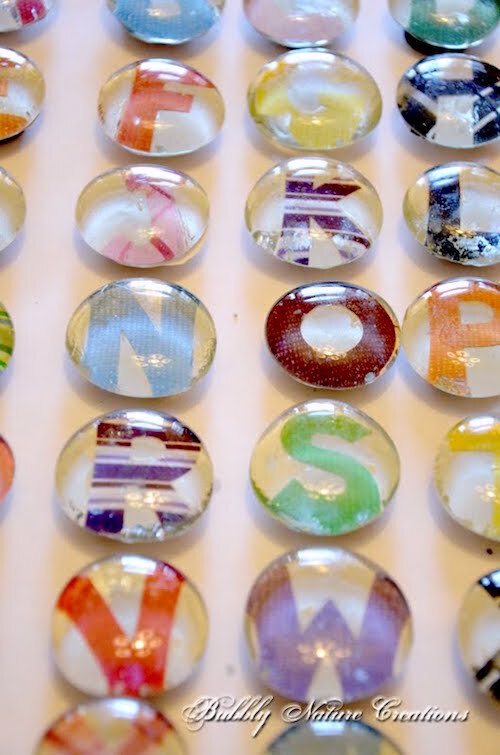 Use smooth glass stones from the dollar store and printed alphabets (or stickers) to make this fun magnet set. 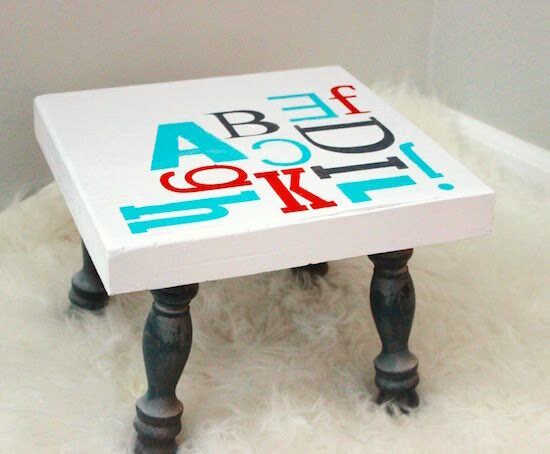 This is one of those fun alphabet crafts for adults and for kids! 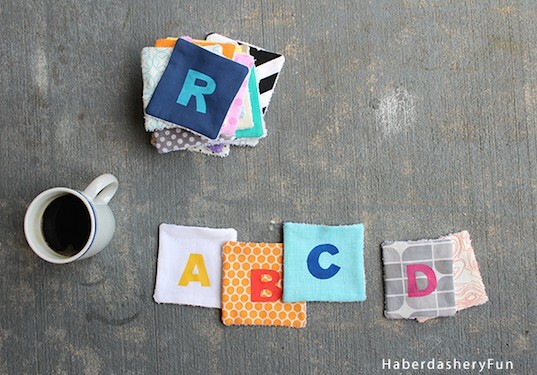 Make alphabet coasters using your sewing machine, and teach your kids their letters at the same time. This alphabet craft is a great opportunity to use up those fabric scraps. I love the color palette that Jennifer picked for this fancy little stool. All you need to do once you pick your colors is to paint and stencil. The variety of fonts is a great idea! 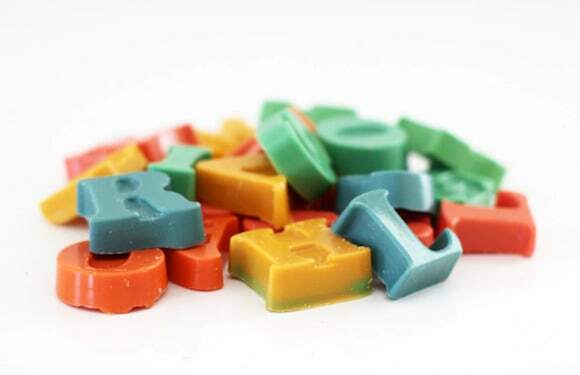 The secret to making these cool crayons is chocolate alphabet molds. Brilliant! Don’t forget to save your old crayons to make them. There are two awesome things about this wall art – first of all, it’s really cute, and second of all, it’s really lightweight. 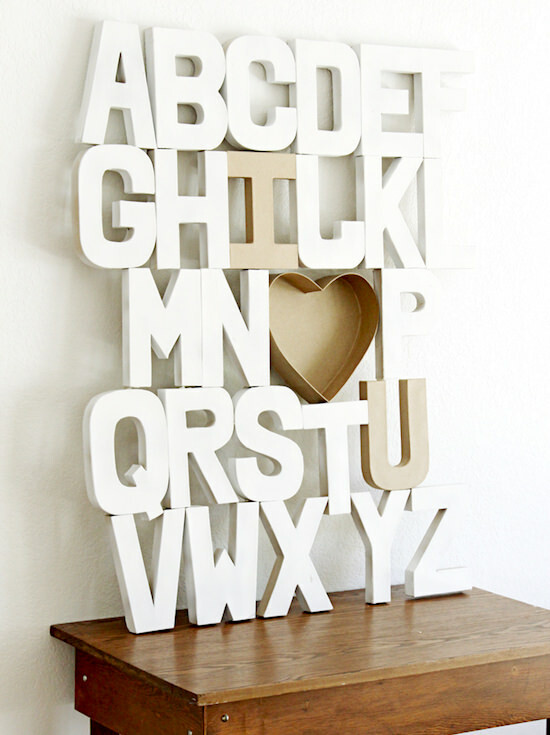 This alphabet craft uses paper mache letters from the craft store. This is one of the easier alphabet crafts to assemble. All you need to do is paint and glue. 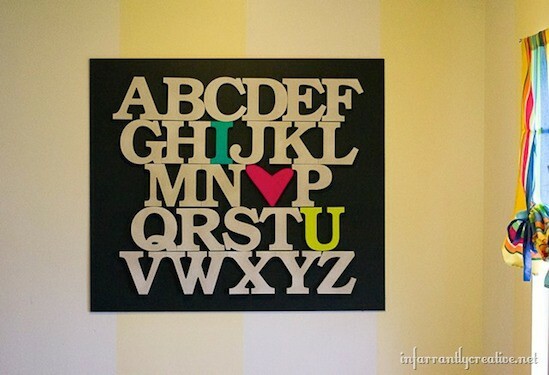 Make cool alphabet wall art with wood letters and spray paint – I love the color pops that were added. Another fun way to make this sign would be to paint various names or words. 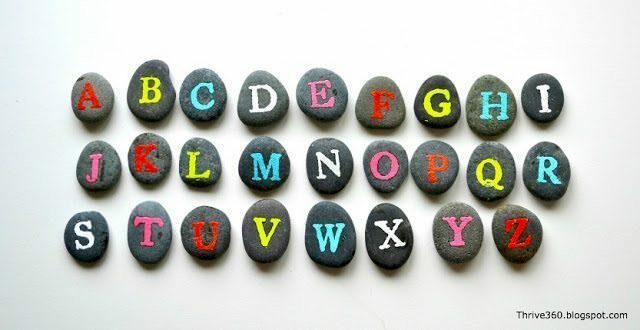 Use bright colors of embossing powder to decorate rocks! You can use these for jewelry, wall art . . . or just to display in your garden. Plus you get to use a heat gun. When was the last time you did origami? I love all the paper colors used in this DIY origami alphabet! Kids can spend house on this activity – and I’m guessing if you’re an adult, you will too. These look like mini mylar balloons when in fact they aren’t! 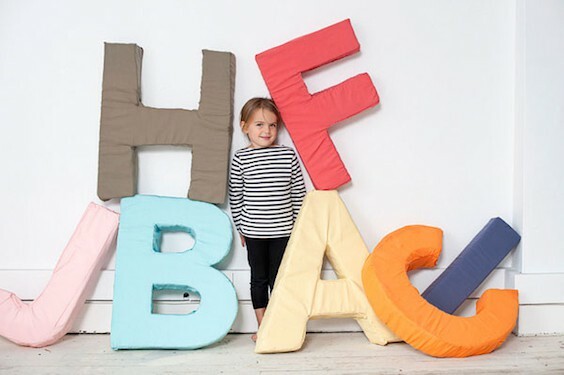 I love this genius method for making a variety of letters. 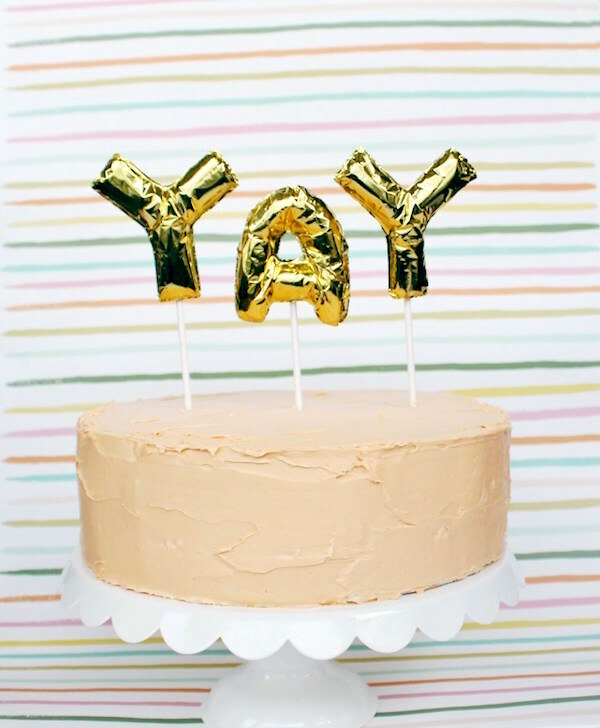 These are perfect for parties – like cake toppers or banners.